Trade Skills Centres at Boonah, Goondiwindi, Innisfail State College and Western Cape College (Weipa). QMBA award winning Early Years Learning facility in Gordonvale, Cairns. 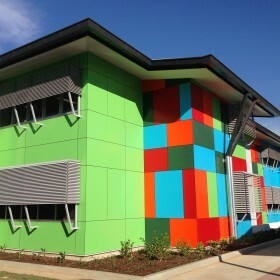 Cairns State Special School –New Green field school catering for children with special needs. Townsville Community Learning Centre, 7 classroom facility catering for children with special needs. In addition to the Project Management of these projects Lambert & Rehbein’s multi-disciplinary team have also on some projects provided environmental, transport, aviation and structural engineering services to assist our clients with the holistic project delivery of their requirements. For any enquiries please contact Josh in our Cairns office, Brent in Southern QLD and NSW and Matt in our Melbourne office.